2019 Honda Insight LX Bluetooth*, 4-Wheel Disc Brakes, 6 Speakers, Air Conditioning, Alloy wheels, Auto High-beam Headlights, Automatic temperature control, Brake assist, Distance pacing cruise control: Adaptive Cruise Control with Low-Speed Follow, Electronic Stability Control, Exterior Parking Camera Rear, Four wheel independent suspension, Front Bucket Seats, Fully automatic headlights, Heated door mirrors, Low tire pressure warning, Power door mirrors, Power steering, Power windows, Radio: 160-Watt Audio System w/6 Speakers, Remote keyless entry, Security system, Speed control, Steering wheel mounted audio controls, Telescoping steering wheel, Tilt steering wheel, Variably intermittent wipers. 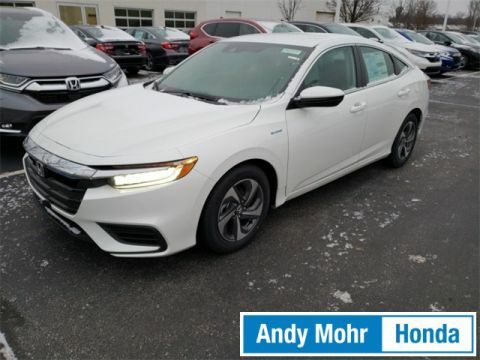 55/49 City/Highway MPG Get MOHR for your money at the ALL NEW Andy Mohr Honda in Bloomington! Call us today at 812-336-6865. 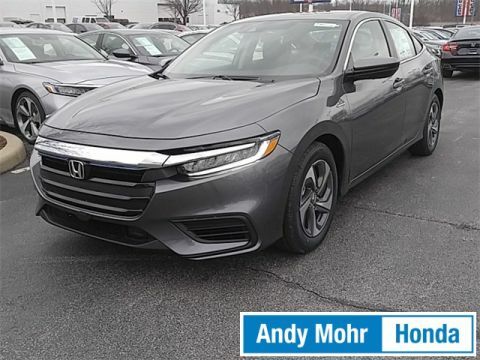 2019 Honda Insight LX 55/49 City/Highway MPG Get MOHR for your money at the ALL NEW Andy Mohr Honda in Bloomington! Call us today at 812-336-6865. 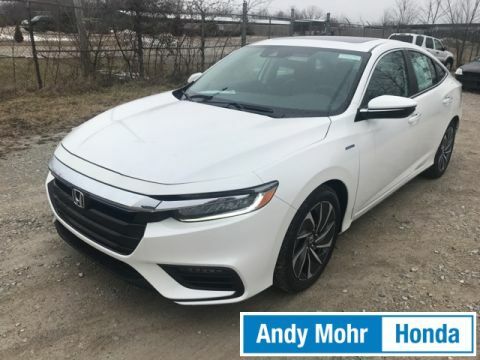 2019 Honda Insight EX 55/49 City/Highway MPG Get MOHR for your money at the ALL NEW Andy Mohr Honda in Bloomington! Call us today at 812-336-6865. 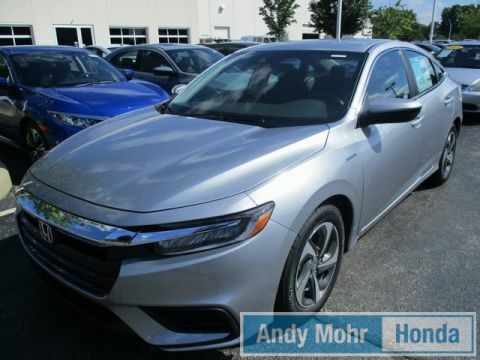 2019 Honda Insight EX E-CVT Transmission, HondaLink Subscription Services, Bluetooth*, Sirius / XM Radio*, Apple CarPlay / Android Auto Integration, Dual-Zone Climate Control, Smart Entry w/ Push Button Start, Remote Engine Start, Honda LaneWatch, Multi-Angle Rearview Camera with Guidelines, Honda Sensing, Forward Collision Warning (FCW), Collision Mitigation Braking System (CMBS), Road Departure Mitigation System (RDM), Lane Departure Warning (LDW), Lane Keeping Assist System (LKAS), Adaptive Cruise Control (ACC) with Low-Speed Follow, Automatic High Beams, Fully Automatic LED Headlights, Lithium-ion Battery Pack, Active Noise Cancellation. 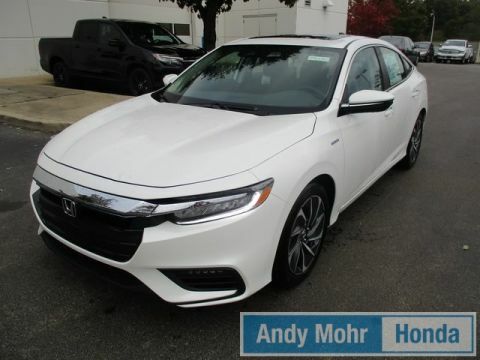 55/49 City/Highway MPG Get MOHR for your money at the ALL NEW Andy Mohr Honda in Bloomington! Call us today at 812-336-6865. 2019 Honda Insight EX Bluetooth*, 16" Aluminum Alloy Wheels, 4-Wheel Disc Brakes, 8 Speakers, Auto High-beam Headlights, Automatic temperature control, Brake assist, Distance pacing cruise control: Adaptive Cruise Control with Low-Speed Follow, Electronic Stability Control, Emergency communication system: HondaLink Assist, Exterior Parking Camera Rear, Four wheel independent suspension, Front Bucket Seats, Fully automatic headlights, Heated door mirrors, Low tire pressure warning, Outside temperature display, Overhead airbag, Power door mirrors, Power steering, Radio: 180-Watt Audio System w/8 Speakers, Rear anti-roll bar, Remote keyless entry, Security system, Speed control, Speed-sensing steering, Split folding rear seat, Sport steering wheel, Steering wheel mounted audio controls, Telescoping steering wheel, Tilt steering wheel, Traction control, Variably intermittent wipers. 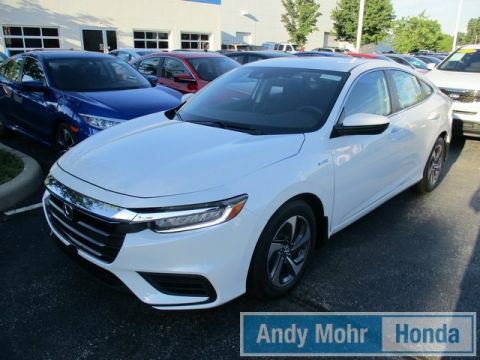 55/49 City/Highway MPG Get MOHR for your money at the ALL NEW Andy Mohr Honda in Bloomington! Call us today at 812-336-6865. 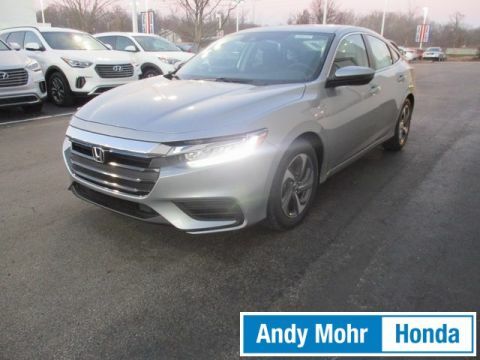 2019 Honda Insight Touring 51/45 City/Highway MPG Get MOHR for your money at the ALL NEW Andy Mohr Honda in Bloomington! Call us today at 812-336-6865. 2019 Honda Insight Touring Heated Leather Seats*, Auto-Dimming Rearview Mirror, HomeLink Remote Garage Door System, Bluetooth*, Sirius / XM Radio*, Apple CarPlay / Android Auto Integration, Honda Satellite-Linked Navigation System With Voice Recognition and Honda HD Digital Traffic, Rain-Sensing Windshield Wipers, Moonroof / Sunroof*, Dual-Zone Climate Control, Smart Entry System with Walk Away Auto Lock, Smart Entry w/ Push Button Start, Remote Engine Start, Vehicle Stability Assist (VSA) with Traction Control, Brake Assist, Multi-Angle Rearview Camera with Guidelines, Honda Sensing, Forward Collision Warning (FCW), Collision Mitigation Braking System (CMBS), Road Departure Mitigation System (RDM), Lane Departure Warning (LDW), Lane Keeping Assist System (LKAS), Adaptive Cruise Control (ACC) with Low-Speed Follow, Parking Sensors, Fully Automatic LED Headlights, Fog Lights, LED Fog Lights, LED Daytime Running Lights (DRL). 51/45 City/Highway MPG Get MOHR for your money at the ALL NEW Andy Mohr Honda in Bloomington! Call us today at 812-336-6865.